Here is what they look like sliced up... yeah the inside is gooey and blue and very toxic looking. Really? 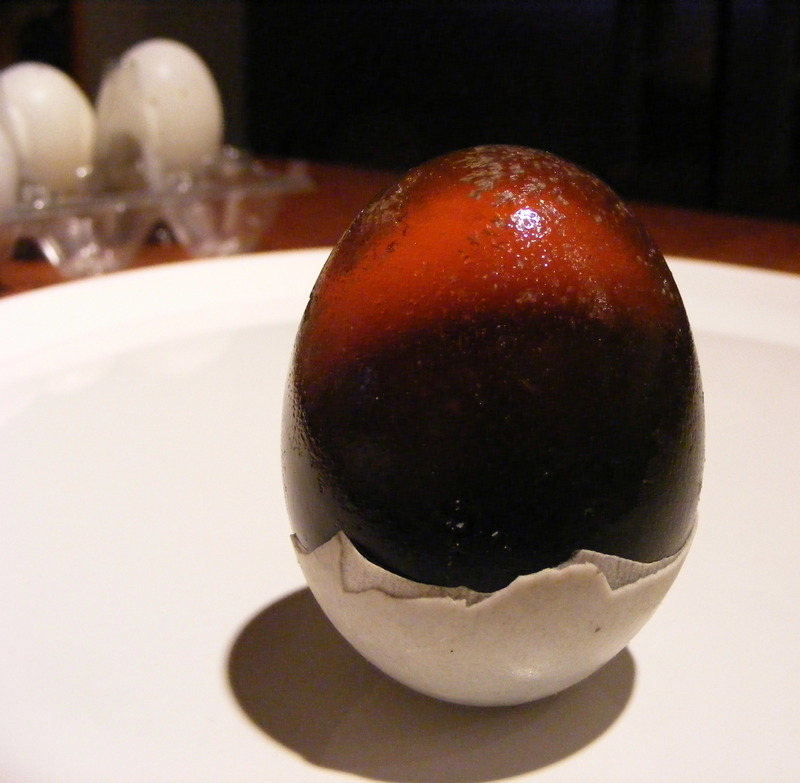 Was balut egg even in the running? 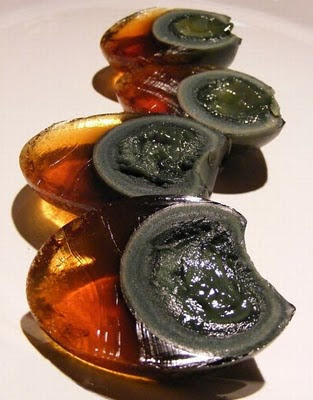 Aborted, fermented duck seems grosser than marinated Chinese eggs. Balut eggs? Faint. This civilized kitty cannot handle duck embryos. Yuck and no it wasn't on the list. Ha. I picked up a half dozen of each on sale at Ranch 99 last week. Even the cashier tried to talk me out of it. Love 'em. But that takes a lot of nerve coming from CNN. Georgia southern cuisine has much odder items on the menu. CNN needs to extend on their research. Have you heard of Casu Marzu? Make sure you eat prior to watching this video. The climax is at about 3:55 minutes into the video.